I understand — it’s a really, really important meeting. They won’t be able to chaperone that student retreat if they don’t come. They won’t be able to teach that class if they don’t participate. They can’t serve in the kitchen without the training. You have essential information to share. But telling them it’s mandatory–like paying taxes, or getting a physical before gym class? Surely we have better language than that. Invite before you mandate. Most people volunteer because they are excited to be a part of what God is doing at your church. People also volunteer to get to know other church members. Appeal to those two desires when you communicate. Let’s say you are sending your students to youth camp and you need to train your leaders before the trip. What about something like this? Does that sound more inspiring and inviting than mandatory leader training? I think so. In-person meetings can be tough and aren’t always necessary. Don’t make someone feel rejected because of scheduling conflicts. Can you live-stream the meeting over the Internet and let people send in questions electronically in real-time? (You could with Periscope, or a number of other free apps.) Can you put together a manual that covers the key points and schedule follow up calls to make sure volunteers understand their roles and expectations so they can serve effectively? 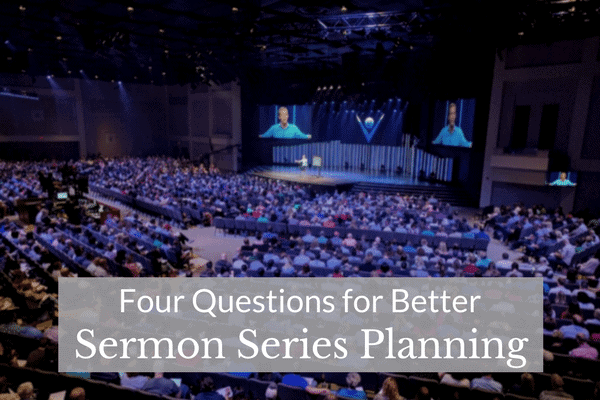 As full-time staff, the goal should be to equip as many members of the church to serve as possible, and that will sometimes require flexibility. And when you offer flexibility, communicate the options clearly without stigmatizing any of them. The Unstuck Group’s Paul Alexander wrote a great article about getting more volunteers by making it easier to start. Every role can’t be simplified in the same ways, but there are definitely some good places to start! The Church should be a place that communicates to people their value in the Kingdom. It’s a good thing to communicate to your volunteers that you appreciate what their uniqueness brings to the culture of your church and to the role in which they are serving. What other ideas do you have for improving the ways we communicate with volunteers? Do the Boy Scouts have mandatory (required) meetings for their volunteer leaders? Does Little League have mandatory meetings for their volunteer leaders? Does the Red Cross have mandatory meetings for their volunteer leaders? But when it comes to the church, nope, can’t have any required meetings for volunteers. Low bar = low fruit outcome. Thanks for your comment, Tom. Definitely agree that it’s all in how you communicate it. Sure! I think a non-profit organization that has members has a slightly different dynamic. And the main point of this article is consider the language you’re using to communicate it!